Our readings this Sunday speak to us about the hope of those who are lost, blind and lame -- those of us in exile, both physical and spiritual, who call out from our woundedness, "Jesus, son of David, have pity on me." In our first reading (Jeremiah 31:7-9), the prophet Jeremiah offers hope to the lost tribes of the northern kingdom of Israel, those carried off and resettled to other nations by Assyria. The blind and the lame will be gathered from the ends of the world and brought back home to the Lord. 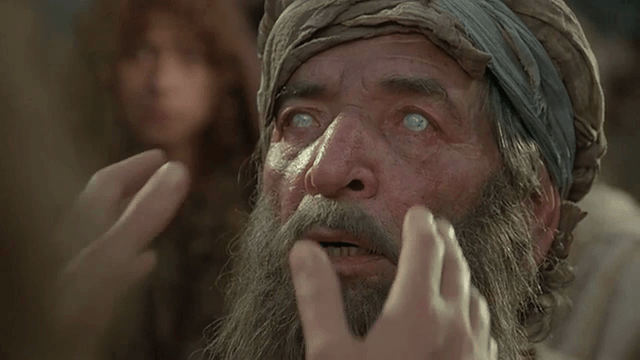 In our Gospel reading (Mark 10:46-52), we hear of Bartimaeus, blind since birth, a symbol of the lost, the alienated, the spiritually blind, calling out to Jesus, calling him Son of David. His faith and his persistence are models for us. Jesus heard his cries and told him, "your faith has saved you." In our Epistle reading (Hebrews 5:1-6), the author instructs us in the role of the high priest - one of human estate, called by God to offer sacrifice on our behalf for our sins. Jesus, like us in every way but sin, experiencing the sufferings of humanity, fills this role perfectly. He deals patiently with us; he is our high priest for ever. In many ways, we live in a form of exile, alienated from God, blinded by our sin. We long for our return from exile. We take hope from Jeremiah that God will gather us back. Sometimes, we call out to Jesus, "have pity on me", and only half expect him to answer us. Let no one silence us. It is the faith of Bartimaeus that gives us hope. We must be ready for when we hear the call, "Take courage; get up, Jesus is calling you." When Jesus ask us, "What do you want me to do for you", what is it we will say to him? Ponder!